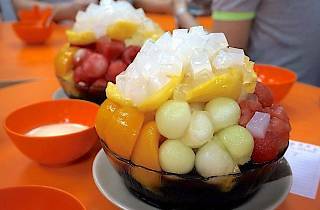 Local favourite, Kai Kee, is best known for its desserts especially the “B boy” grass jelly, a large bowl of grass jelly – known for is cooling properties – under a mountain of fresh fruit, topped with giant sago pearls, it’s eminently Instagrammable. They also serve savoury dishes and the chicken wing tips are popular. 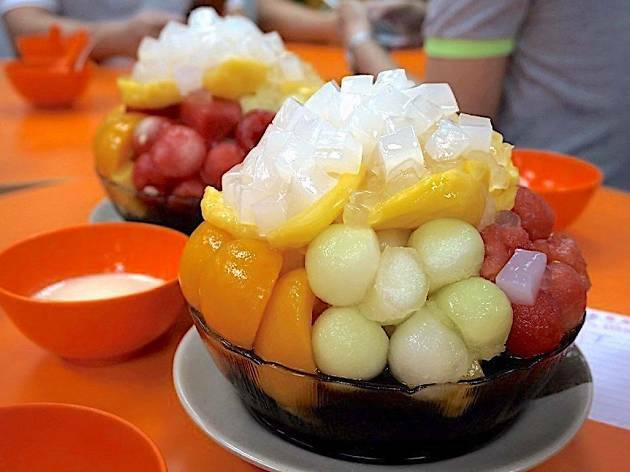 Expect to queue down the street for access to this famous dessert spot.